Last weekend I went out of town on a much-needed weekend getaway, and I decided to go off the grid with everything from my daily life and wing it. I didn’t pack any whole food, gym clothes, or my computer, and I had no plans to do any work. Since I was in wine country, my main objective was to visit wineries, enjoy the scenery, and to allow myself to consume whatever struck my palate. One winery featured wine and cheese pairings, which is something I would ordinarily refuse. Thank goodness I didn’t deprive myself, because the cheese selections were even more delicious than the wines at that particular winery! Though I could feel my gut rebelling somewhat against the drastic change in diet, I enjoyed the freedom I had. I still looked for more protein dense food selections while we were exploring the region, and I wolfed down a couple of B-Up Bars for a boost in protein. However, I pretty much gave up on getting my usual 25+ grams of protein with my morning meal while at the bed and breakfast inn where I stayed. The only protein dense food selection at the inn was Greek yogurt, so I had that on Saturday morning with some fresh fruit. By the end of the day on Saturday, we had visited some wonderful wineries. We made sure to hydrate well the entire time and we also had a big lunch, but I was hungry when we returned to the inn, and since the food selection was so limited (the fruit and yogurt were no longer available at 5 pm), I grabbed a snack sized bag of Pepperidge Farm Goldfish Crackers and began munching on them while chatting with the innkeepers. BIG MISTAKE. About five minutes after consuming the cute little crackers, a feeling of malaise washed over me, and my head began to pound. I excused myself from the table and went to my room, whereupon I crashed onto the bed and held my sore head. The room was blazing hot, even with the ceiling fan whizzing at high speed, and I floated in and out of sleep for about an hour. We had dinner reservations at a fancy restaurant, so I peeled myself off the bed and got ready even though I felt like I had gotten hit by a truck. And NO, it was NOT the wine which had me feeling this way. Once we were at the restaurant, I ordered an entree which sounded appealing, but by the time the entree arrived, I could not even eat as a result of severe nausea and a splitting headache. That delicious lamb shank I ordered sat on my plate like a forgotten masterpiece. 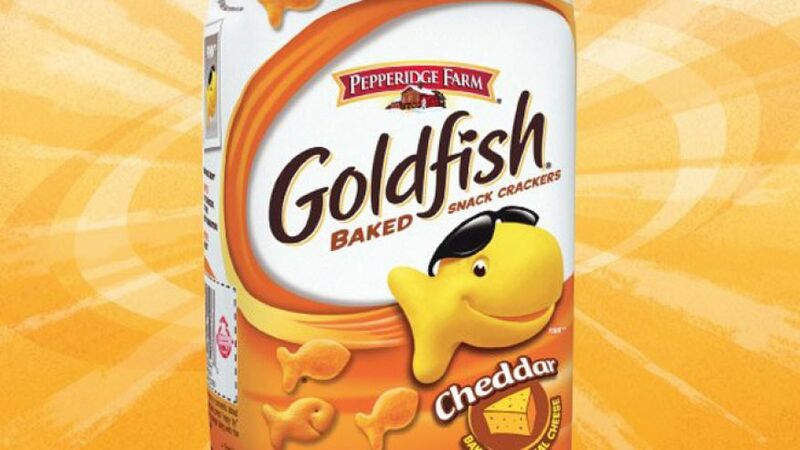 Now that I realize what got me so sick, I figured I would review the ingredients found in these evil Goldfish crackers. How could something I so gleefully consumed as a child wreak so much havoc on my body as an adult? Ingredients list : MADE WITH SMILES AND UNBLEACHED ENRICHED WHEAT FLOUR (FLOUR, NIACIN, REDUCED IRON. THIAMINE MONONITRATE (VITAMIN B1), RIBOFLAVIN (VITAMIN B2), FOLIC ACID), CHEDDAR CHEESE (CULTURED MILK, SALT, ENZYMES, ANNATTO), VEGETABLE OILS (CANOLA, SUNFLOWER AND/OR SOYBEAN), CONTAINS 2 PERCENT OR LESS OF: SALT, YEAST, SUGAR, AUTOLYZED YEAST, LEAVENING (BAKING SODA, MONOCALCIUM PHOSPHATE, AMMONIUM BICARBONATE), PAPRIKA, SPICES (CONTAINS CELERY) AND DEHYDRATED ONIONS. Well, for one thing, these crackers are loaded with gluten (from the unbleached enriched wheat flour), and the canola or soybean oil lurking in the crackers also did a number on me. Back in January, I discovered (through ALCAT Testing https://www.alcat.com/) that I had an intolerance to gluten, canola oil, and soybean oil. No wonder I felt so ill! My habit of reading labels and of avoiding any foods which have ingredients of which I am intolerant is something I need to do ALL THE TIME. Just one slip and I had to pay the price! This supplement is truly amazing! It contains a probiotic which breaks down gluten, thus allowing you to consume gluten-containing foods. I decided to give this supplement the ultimate test with a pepperoni pizza and wine cheat meal, and for the first time ever, I had no digestive issues whatsoever. I got none of the abdominal pain or bloating I always get after a meal like that, nor was I tortured by excessive bathroom sessions the next day. 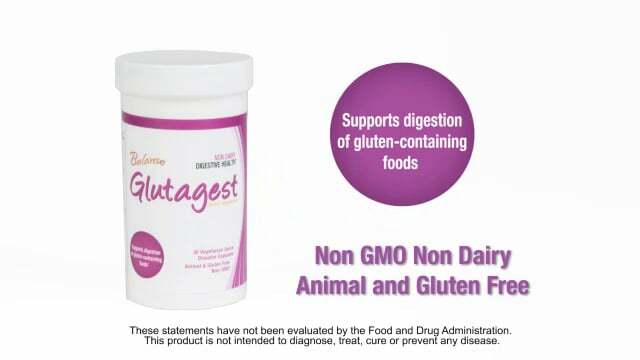 This supplement is excellent and enables me to eat some of my favorite foods which I had been avoiding for the last six months since discovering that I had a severe gluten intolerance.